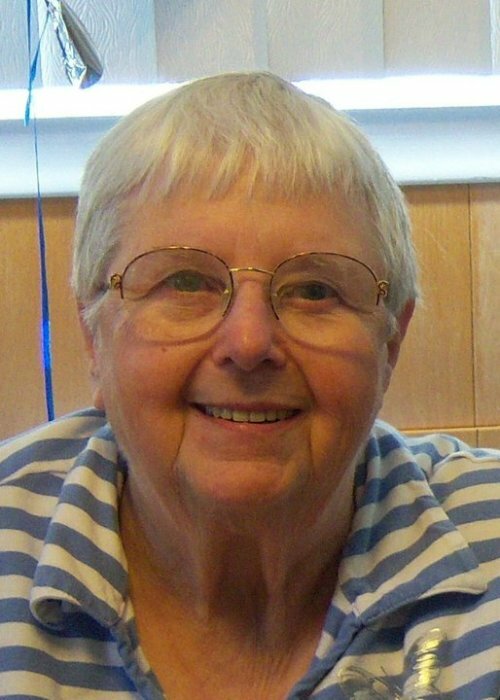 Virginia “Gina” Wynne, 85 of Redford Township, MI passed away on Monday, July 9, 2018. She was born on March 27, 1933. She is survived by her loving husband, John Wynne; son James (Phyllis) Mol; daughters Tracy Wynne, and Shannon (Rick) Bond; Cherished grandmother to Katrina Suhre, Jacob (Sara) Mol, Rachel (Jon) Jank, Joshua Suhre, Rebecca (Austin) Bontrager, Matthew Suhre, Ariel Bond, Aaron (Rachel) Mol, Kelsey (Brian) Dobson, and Noah Bond; Loving great-grandmother to Grace Mol, Philip Jank, Addelyn Dobson, and Theodore Jank. Gina loved painting, coloring, movies, reading and elephants. She was a great light in our lives. Visitation for Virginia will be held Saturday, July 14, 2018 from 2:00 until the time of the Memorial Service at 3:30 PM at Manns Family Funeral Home, 17000 Middlebelt, Livonia 48154.